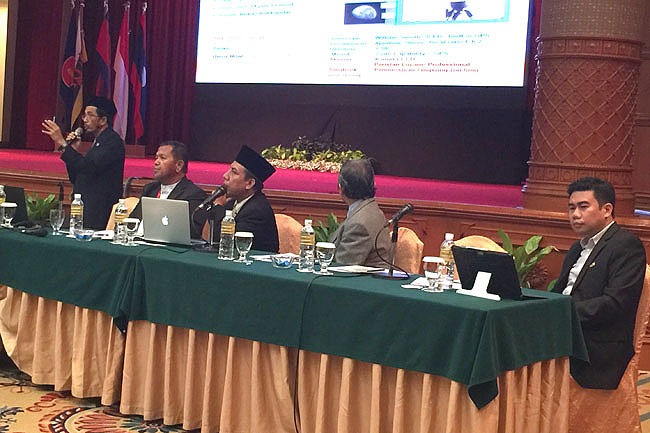 Borneo Bulletin – TWO working papers on the use of modern technology for the sighting of crescent moon (Hilal) were presented during the Falak Syar’ie parallel session at The Rizqun International Hotel, Gadong yesterday. The parallel session was part of the 14th Southeast Asia Survey Congress (SEASC) 2017 organised by the Ministry of Development’s Survey Department, in collaboration with the Brunei Institution of Geomatics (BIG), under the auspices of the Asean Federation of Land and Geomatics Survey (AFLAG). In his presentation on ‘Imaging Method for Crescent Moon Sighting with the Charge Couple Device (CCD)’, Haji Julaihi bin Haji Lamat, from the Brunei Institute of Geomatics, introduced the CCD as a technology that was born in 1969 at the AT&T Bell Labs, and has since undergone vast improvements with modern software. 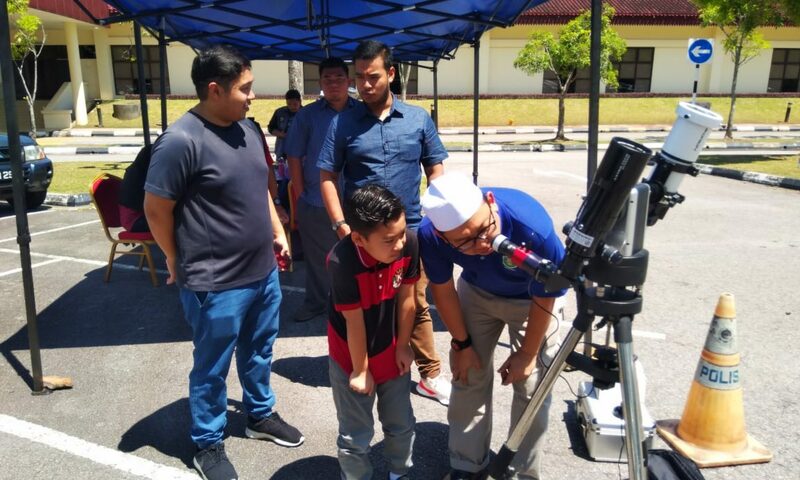 “Today, knowledge has advanced, because not only can the crescent moon be sighted accurately, with the help of a telescope and the image capture method, but processed records of the moon sighting can be reviewed without the need for eye witnesses,” he said. 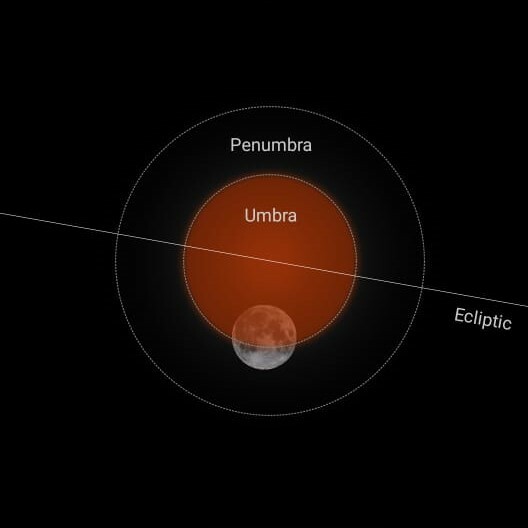 The start of Ramadhan, Syawal, and Zulhijjah are normally determined through the Ruqyah method of sighting the crescent moon with the naked eye after sunset. 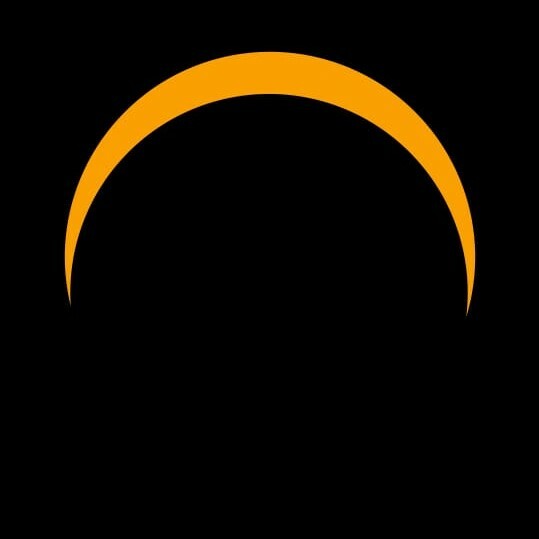 When the new crescent is sighted, it will mark the beginning of a new month in the Islamic calendar. In defining a successful sighting, there is still a difference of opinion among religious scholars, because the Hadith or traditions of Prophet Muhammad (pbuh) particularly emphasise eyewitness testimony or the application of knowledge. “Knowledge can be defined as knowing the position of the crescent moon through astronomical calculations, in addition to use of modern technology such as imaging or video recording,” said Haji Julaihi, adding that previous experiences have shown that CCD assistance on telescope is more effective in the early sighting of the crescent moon after sunset. Records show that the crescent moon for 29th of Ramadhan, 1425 Hijrah, corresponding to November 13, 2004, was sighted at 19 hours and 13 minutes, while 1st of Syaaban, 1437 Hijrah on May 7, 2016, was sighted much earlier at 14 hours and 57 minutes after sunset with a light illumination of 0.6 per cent. Meanwhile, Hazarry bin Haji Ali Ahmad from the Astronomical Society of Brunei Darussalam in his presentation, ‘New Moon Imaging Technique Using Digital Cameras in Brunei Darussalam’, said that new moon data can be difficult to obtain, owing to certain factors such as astronomy, meteorology and psychology. “Therefore, moon sighting in the present age will often employ astronomical instruments such as a telescope equipped with a DSLR digital camera, when the light is at a minimum,” he said. © 2007-2019 Bruneiastronomy.org. All Rights Reserved. 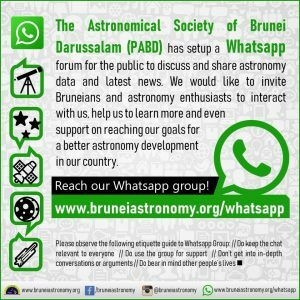 This site Bruneiastronomy.org contains material generated, authored and/or prepared by The Astronomical Society of Brunei Darussalam (PABD) and other individuals or institutions. 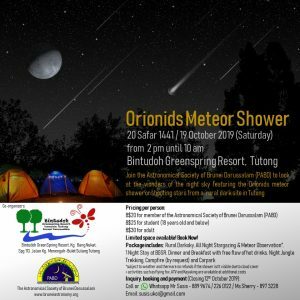 Should you desire to use of such material at this time, inquiries should be made to webmaster@bruneiastronomy.org or those individuals and institutions.